So, you want your listings to be featured where they’ll be seen by prospective renters. Time to post on as many Internet Listings Services (ILS’s) as possible, right? 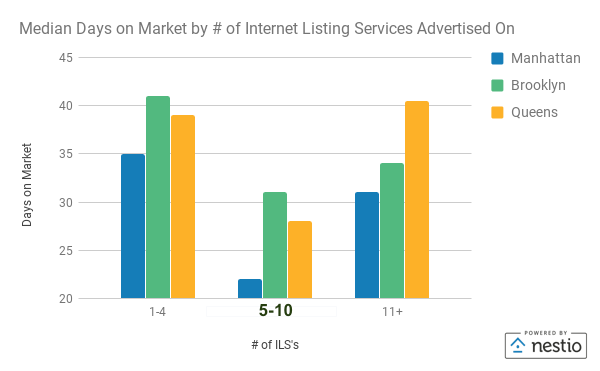 We examined thousands of syndicated listings to answer a simple question: what is the optimal number of Internet Listing Services multifamily marketers should leverage to rent listings the fastest? Our findings illustrate a conclusion many savvy multifamily marketers already know to be true: when it comes to syndication, it’s better to focus on quality over quantity. In fact, there's a sweet spot where we've seen multifamily professionals consistently get the best results—usually in the range of 5 to 10 sites (though which sites those are can vary depending on the audience you’re trying to reach). Why would you want to be on a handful of sites when you could be on hundreds? Here are three reasons why. There’s a reason why companies like Apartments.com and Zillow are household names. More prospects search ILS’s because they believe these sites will have the best and most accurate selection of availabilities. If you haven’t heard of the sites you’re syndicating to, there’s a pretty good chance prospective renters haven’t either. You might be thinking to yourself “isn’t every other multifamily marketer trying to reach the many of the same audiences on the same channels?” Absolutely. This is exactly why you need to focus on creating the best possible content for your listings on key sites. With a majority of prospecting tenants starting their leasing journeys online, it’s up to you to make sure they are seeing the best, closest to real-time representation of the inventory you have to offer. At a minimum this means good unit-level photos and descriptions. Unless you happen to have time to check hundreds of sites one-by-one multiple times a day, inaccuracies are a certainty. If your customers aren’t finding you on those sites, you really should not spend hours of your time making sure you are properly displayed to an empty audience. 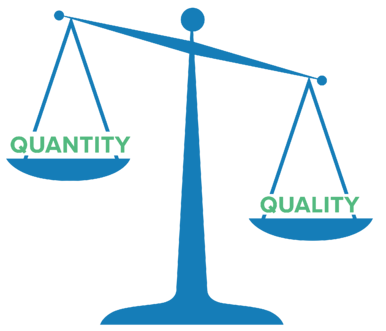 Better content means better qualified leads. Also remember that you’re best off optimizing your listings syndication strategy for whichever sites are driving the most qualified leads (i.e. those most likely to result in leases). The better and more accurate the content you provide, the better informed an inbound lead is likely to be; meanwhile, stale and inaccurate data is likely to yield low quality leads (like a prospect showing up to a property hoping to see a listing that’s already off the market or doesn’t fit the criteria they’re looking for). But that’s not all: because your customers don’t know or care about these sites, Google’s search algorithm does not either. Google Search’s goal is to display relevant content to its users—content they will find interesting and will keep coming back to Google to find again. When a data feed lists your information on unheardof.com and Google sees that the site is only getting a few hits a month from consumers, this factors into where the site displays in search results (it won’t be on page one). In short, confusing content is bad content; bad content doesn’t get displayed because it is irrelevant to Google’s user base. It's also crucial to remember that not all ILS syndication offered by vendors is equal. For example, vendors post at varying frequencies (differences can range from minutes to hours) and levels of listing detail. The fact that a vendor can push one of your availabilities to a listing site means that the vendor has satisfied the minimum criteria that site has for postings; it does not mean that the vendor has any relationship with the site (these partnerships are important to provide support and to keep clients ahead of the curve in the fast-moving ILS landscape). For example, at Nestio we focus on providing best in class syndication services and support to our clients. We've built deep strategic relationships and custom feeds to ensure that our customers' listings are not only accurate but also prioritized for posting above others. Our best-in-class technology and top-tier support team enable us to help our customers showcase the best representation of their listings across the national and local listing websites that move the needle.